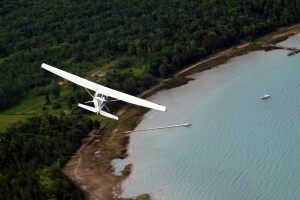 Owen Sound Flight Services is one of very few small aircraft operators in Ontario who offer a Charter Service. This gives us the ability to take you places, and bring you experiences that our competitors just can’t match. Whether you simply need to get from Point A to Point B, or you want to experience one of our unique Charter Excursions, our highly qualified Flight Instructors will be your guide the whole way. We also specialize in Aerial Photography, Aerial Survey and Wildlife Tracking and are on the approved list of Air Carriers for the Ministry of Natural Resources. 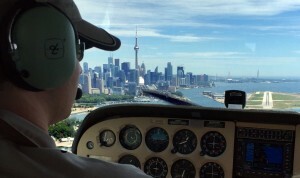 For example flights to Toronto Island take about 1 hour 15 minutes for $715 +HST. Your destination not listed? See our Charter Cost Breakdown, or contact us for a quote! To see an outline of our Restricted and Prohibited Dangerous Goods – Click Here. Need to get somewhere for a meeting, missing your loved one, or have to get somewhere unexpected on short notice? We can take you there, and a couple friends as well. Our 3 passenger aircraft may seem small, but what it lacks in size it makes up for in versatility. We can get in and out of places that larger aircraft cannot, so whether you need to get into an international airport or a friend’s grass runway, we can land there! Want a unique experience that you will remember for a lifetime? Take a peek at some of our Charter Excursions. Maybe for you it’s not so much about the destination, as it is the journey…if so, we share your passion. The lifestyle of a pilot is kind of glamorous in a way, that’s why we got into this business. We like flying up to Killarney for Fish and Chips, or down to the city for an afternoon Blue Jays Game. Wanna come? Bring a couple friends and let’s make an adventure out of it. Check back here before the summer starts to see some of the great tours we will be providing! For additional information on how we derive these rates in accordance with the Canadian Transportation Agency, see our Domestic Tariff.